Is Neucopia Another Big Scam Too? Envelope Stuffing: Is It Really A Scam? Global Domains International – Is GDI a Scam? What is the Global Domains International Affiliate Program? 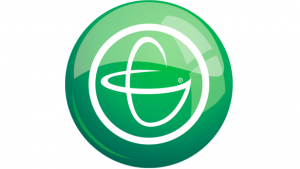 Global Domains International or GDI, is nothing more than a website hosting company. In other words they promote website addresses. There is only one catch, though. They don’t promote “.com’s”, “.org’s”, or “.net” addresses. For whatever reason, Global Domains International strictly promotes “.ws” domains. And has been doing so, since 11/15/1999, to be exact. GDI also has an affiliate program side to it, for those interested in making some legit money online through an affiliate system implemented by GDI themselves. What makes Global Domains International a turn off to so many people today, is not the structure of their compensation plan, but the percentage the compensation plan pays to its members. 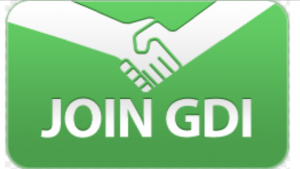 With GDI’s affiliate program, you get paid 10%, which is $1 per month in residual income, for every member referred by you. You can do the math for how many people it would take, to get you to $1,000 per month in residual income. 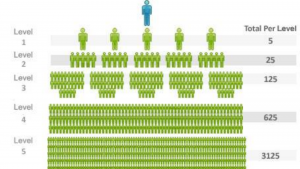 GDI also has a 5-level recruiting structure (as shown above), where you can recruit as many people as you want, on each level. Meaning when you refer a member, you not only get paid for their membership, but you also get paid when they refer someone, and when the next person refers someone, all the way down to the 5th- level. Now seeing that $1.00 per member in residual income is kind of low, GDI decided to have a bonus program. One that pays you $100 for every 5 people personally referred by you, within a 7 day time period. I would say that this incentive was what made this opportunity more attractive to many folks. Even more so to those who already know a thing or two about advertising and affiliate marketing, that is! Been in good business since 1999. I would say one of the biggest problems I’ve learned through the Global Domains International Reviews is that their affiliate program offers absolutely no training system of any kind. I feel like this is why so many folks, in general, shy away from it. Without training, there is no way to become successful with affiliate marketing, or making money online. In cases like these, lots of hopefuls end up quitting before they even get started! Simply because the average affiliate program (GDI Included) lack the training system needed in order to be successful. Some of you may even be familiar with GDI. Think about it. Although they’ve been around a while, I bet there is not one person on the Leader Board from 5 years ago that is STILL on the Leader Board. Please correct me if I’m wrong and comment below, if you know differently. How Much Will It Cost Me To Join GDI (Global Domains International)? Joining Global Domains International is completely FREE, along with a 7-day FREE trial, to test the waters. After you complete your 7-day trial, you are then automatically billed $10, and $10 per month, from that point forward. There are no other fees or hidden cost! With all the new MLM companies out there having way better compensation plans and paying out a whole lot more, I would say GDI isn’t worth joining. There are way too many types of MLM companies (as well as non-MLM related companies) paying out more than $1.00 in residual income per month, not to mention the included training. For example, I personally love Wealthy Affiliate’s Training. Unlike GDI, the tools they have to help guide you, including the website builder and domain hosting, are amazing and very helpful. The only people benefiting the most from this program, are the experienced ones or the one’s who have some type of guidance system in place. Without help, your almost guaranteed to fail, period. Is GDI a scam? Not “technically”. However, instead of joining a company that not only lacks training, but also a good compensation plan, consider joining a company that’s made to support you and your business. By doing this, it’s almost a guarantee for success. The ability to be able to communicate with other affiliates that are very successful. GDI doesn’t have any of the above. There are programs out there, though, that are great to consider. Wealthy Affiliate is one of them. Learn more about WA here. Read about my #1 Recommendation, Tips and Helpful Information. Would you happen to have something to add on or something you might want to say about Global Domains International? Possibly something to add that could help us all out? If so, please take a few seconds and leave a comment at the bottom. I would love to hear what’s on your mind! Thanks again folks for reading my post, and good luck with all your future success! Is Amazon Affiliate Program Worth It? Is it Legit and Scam Free? The “Killer Content” System Review – Scam Or Not? Well Let’s Find Out!! Who would get off their backside for a $1.00 make no sense to me? There must be more to it if they have lasted this long in the marketplace. perhaps the $100 bonus is used to motivate people. I think there must better ways to spend your money on without this type of risk. My pleasure Geoff! More new informative post coming soon..
Wow, I’m just in the middle of looking around for an affiliate program I can join and a friend of mine mentioned Global Domains. You really have done your research. I’m definitely interested in joining for free and at least I can spend a week trying this one out. Do they ask for a credit card up front before I join for free. They have been around for a long time so that’s good and with the BBB that’s good too. The part I don’t like is from what you’re saying is I would have to recruit 500 people… that won’t do. I appreciate the review but I am now curious about Wealthy Affiliate. Hello Monica and thank you so much for commenting and I appreciate the kind words. I’ve been involved in internet marketing since 2009-2010 so, yeah, I’ve done my research. In serious about helping others succeed online. As far as GDI goes, your right! It’ll take 1,000 to make $1,000 per month in residual. That would take even a internet guru some serious time to accumulate some real cash results. At least maybe 5 years. And if your referring to Wealthy Affiliate, I don’t believe they ask for your credit card upfront, since it is free to create an account. Took me a second to create my account, if I remember tight (it’s been almost 2 years since I joined WA). Only when you become premium, is when your required to provide your credit card details. Check out my Wealthy Affiliate scam review, or my #1 recommendation at the top of this page. You’ll find everything you need to know there. Hit me back in this comment section if you need any assistance. Thank you so much again for your comment, and I wish you nothing but the best with your success. You are obviously a competitor of GDI and you are lying when you say there is no affiliate training. There is fantastic training and it’s very thorough and easy. It is a business and it takes time to grow your business. It is very unfair for you to steer people away from what is an excellent opportunity. 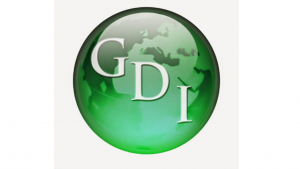 GDI offers a fanatastic mentorship program and the bonuses are fantastic. For every person you sell GDI to, you are paid 250.00 for every ten who sign up for the sales training. This adds up to a lot of money per week if you work the system and post ads properly. STOP talking smack about something you obviously have never worked because YOU want to promote your business. That’s not true at all. I’m not a competitor of GDI. Sorry I made you sooo upset ma’am 😡. But for your information, I was actually apart of GDI for almost 5 years, and brought in almost 1,000 sign ups. The great, and successful Brian Bear was my up line. Anyways, if the pay for joining GDI was $5 per person, I would be way more rich right now. Sad to say, 1,000 people only amounted to barely $1,000 per month, in residual income. I’m correct when I say that GDI doesn’t offer any real training, or real money, and the time it takes to grow your business, depends on how many referrals you and your referrals can bring in, in a week. GDI is a true pyramid scheme. You get paid off of other people’s efforts. Keep in mind, it’s $1.00, or .99 cents your paid per sign up, per month, and $100 (1 time pay)for every 5 sign ups you personally bring in. What a ton of money this is, lol!! And to add more facts to this situation, GDI hasn’t been popping since 2010, and no one’s really interested in the old company from the 90’s, that use to bring in 1,000+ people or more per week. Check out the leader boards right now, and see how good GDI, as a company, is doing. Less than 10 people a week are bringing in at least 5 referrals a week, when it use to be around 100 referring people on the leader boards, bringing in on average 10 people per week, a piece. Now, you’d be lucky if you could bring 5 people into the company, per month. They basically offer nothing but a .WS address, for you to learn on your own, how to build it. SEO, and everything. So I know a little more than you think about GDI. I was just smart enough to move on, once I realized I was worth more than $1.00. Thanks for commenting, and good luck with your success Lisa!! Which is $1 at per sign up. 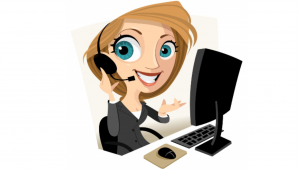 Pure Leverage: Is It A Legit Online Opportunity Or A Scam? Is “Vindale Research” Really Legit? Get the Truth Now.